Great replacement over stock plastic. Increase durability. 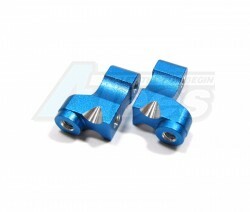 The Team Associated RC10B4 Aluminum Servo Mount 1 Pair Blue has an average rating of stars based on 15 customer reviews.